Ever felt like running away from your daily routine and monotony and escaping into a whole new world where you can enjoy a delicious meal and be a part of everything that a place has to offer? Themed restaurants definitely provide the much needed break from everything ordinary and mundane, showing us the way to an alternate world. And hey, Mumbai has some beauties. 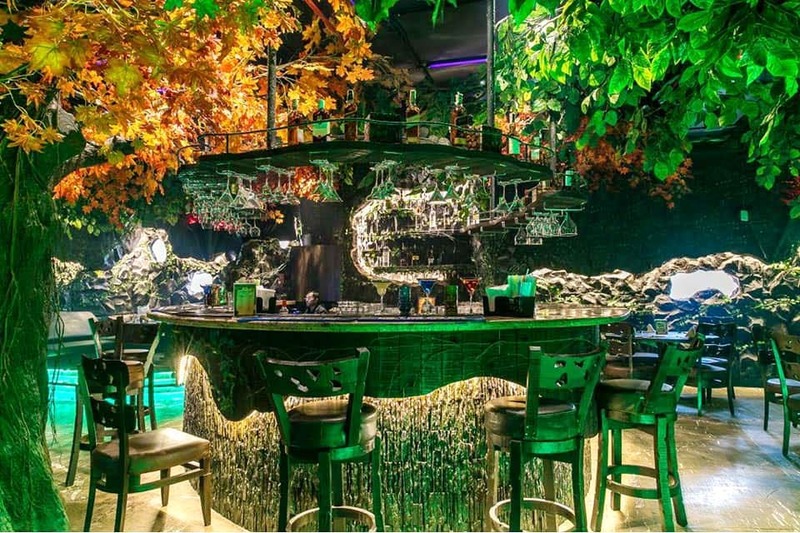 Check out these top recommendations for themed restaurants in Mumbai that we have compiled for you. Keeping the Goan spirit alive, Lady Baga is here to give you all the feels of sitting in a shack, lying on bed decks or simply lounging around in hammocks. The famous lounge that has it’s interiors inspired by the 70s hippie culture is complete with hand-made dream catchers, bead curtains, brocade cholis, tie-dye cushions and more. The food and cocktails here won’t disappoint either. There will, of course be the Goan favourites such as vindaloo, prawn curry, rechado crabs, etc. along with an array of other options. An ode to village life, Mumbai’s village-theme restaurant pays tribute to the rustic lifestyle in most of the country. They have unlimited meal options for South Indian, Gujarati and Marwari cuisine. It’s cosy and has a charm of its own with the décor that truly stands out – a pottery nook, and handicrafts around the entire joint. If you’re into books, you’ll love this place! With indoor, outdoor and rooftop seating, the place is decorated with comic artwork (even Tintin murals) and even offers some delicious food. So, you can grab your favourite book, find the perfect corner and start reading! Forests are brilliant, and what better way to pay them a tribute than open a place in a concrete jungle like Mumbai and make it feel like a true jungle. You enter this little paradise in the heart of the city and you’ll hear flowing water and even birds chirping in the background. There are trees inside, and even a waterfall. So, you can enjoy great food and just relax in this outpour of green. Mumbai’s first aqua theme restaurant, Café Hydro in Borivali, is a two-floored eatery that serves delicious Asian and oriental cuisine. As the name suggests, it’s all about life in water, with the first floor representing the calmness of the ocean and the second floor – the green and soothing surroundings of a garden.. In addition to all the cool places we've mentioned above, we'd like to bring to your notice two other places- The Bar Stock Exchange and The Daily Bar & Kitchen. Their crazy stock market theme and the ‘good news from around the world’ theme are quite unique and fun (for real). What's awesome is that you could actually have the drink of your choice without burning a hole in your pocket! Sounds like a plan?